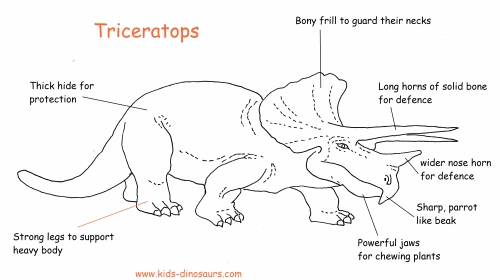 Dinosaurs Triceratops - Facts about the Triceratops Dinosaur. 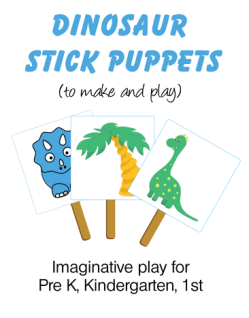 Are you kids interested in Dinosaurs? Triceratops was one of the greatest! Triceratops were plant eaters (herbivores) which grazed in large herds together. You pronounce their name 'tri-SERa-tops'. 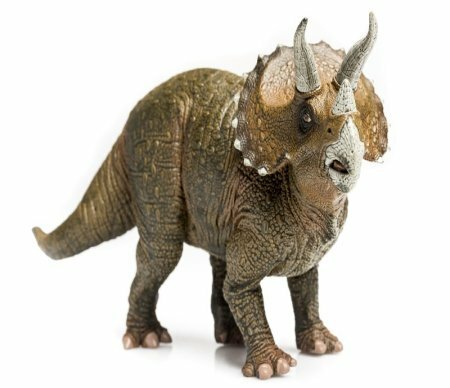 The meaning of Triceratops is 'three-horned face'. They lived in the Late Cretaceous Period. 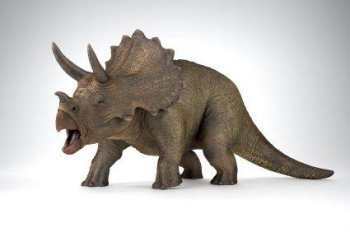 Triceratops had nose horns they used for defence. They weighed 5 tons (about as much as a truck). They lived about 68 to 65 million years ago - in the cretaceous period. This was at the same time as some really big meat eating dinosaurs such as Tyrannosaurus rex, Albertosaurus and Spinosaurus. To defend itself against meat eaters (predators) it had two long brow horns. These could grow to be at least 1 metre (3 feet) long. Triceratops would have been able to cause a lot of damage to an attacker! It also had a third shorter horn at the end of its nose. This gives it its dinosaur name, which means 'three-horned face'. 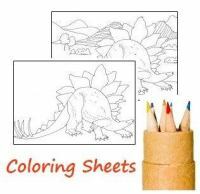 Its dinosaur classification is Ceratopsia. Some types of Triceratops had knobs of bone on their neck frills. These frills would have made it hard for an attacker to get hold of the Triceratops neck. Triceratops were herbivores (plant eaters). Find out more about the Cretaceous plants they ate. 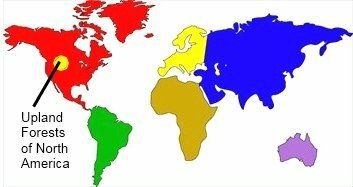 How big was the Triceratops? Triceratops were 9 metres (30 feet) in length and weighed 5 tons. The bigger males would have weighed almost as much as a Tyrannosaurus.